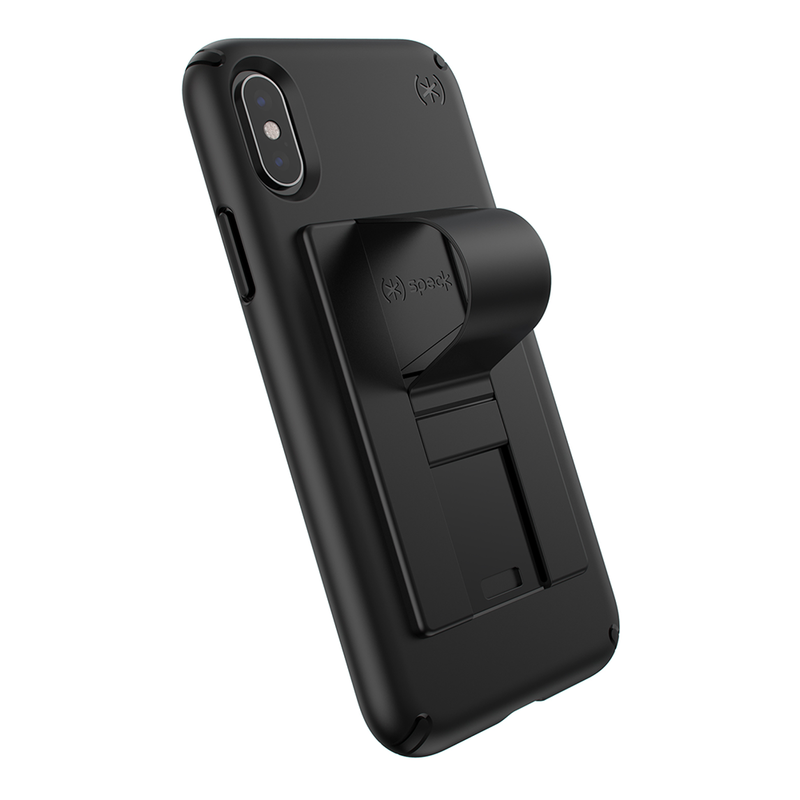 Grab tab is a card-sized super-slim (3mm thick) accessory that gives users a secure way to hold their phone or stand it up for viewing - and also allows for wireless charging. Just stick grab tab to the back of a phone and slide the flexible center strip until it locks in place. Users can slip their fingers through the loop to hold a phone comfortably while taking selfies, texting, and more. Turn a phone sideways, and the loop becomes a convenient stand for watching videos or hands-free chatting.